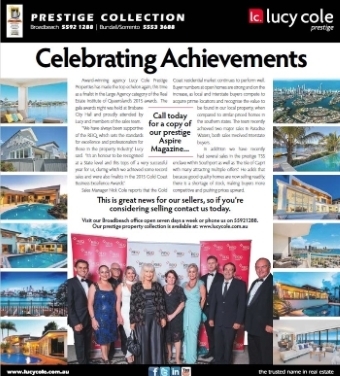 Acknowledged as ‘the trusted name in real estate’ Lucy Cole has enjoyed 20 successful years in the highly competitive South-east Queensland property market and forged a reputation for providing enthusiastic, tailored service and total commitment to each client’s needs. 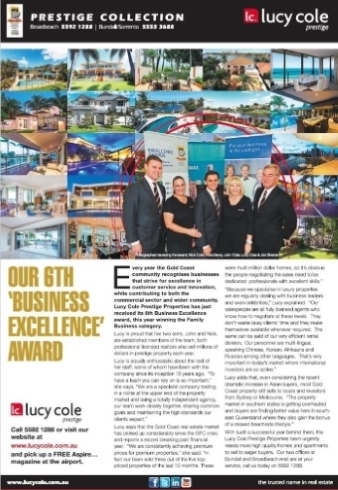 The agency is renowned for achieving premium prices and shifting ‘hard to sell’ properties that have been on the market for some time. 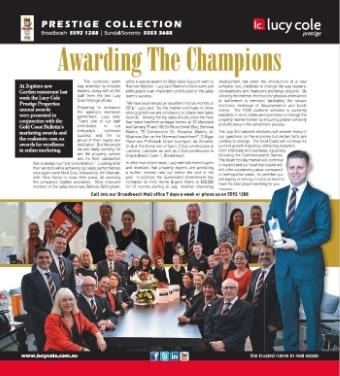 A three times winner of the REIQ ‘Salesperson of the Year’ award, Lucy is widely recognised as a pillar of the Gold Coast property industry. 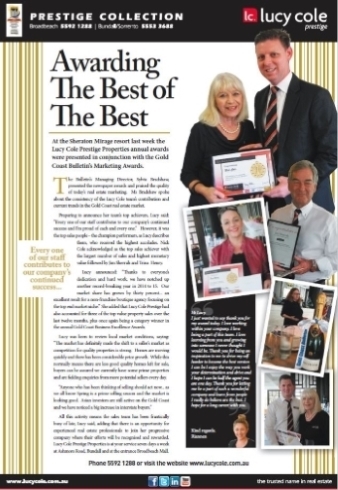 She has always maintained her guiding principles of integrity, customer service and dedication to the community. A company principal, she also ensures her staff adhere to the highest ethical and professional standards while encouraging them to fully develop their skills.